theme, so I knew from the outset that I would need to dress to impress. For me, it was a case of go glam or go home! What are you wearing to your work Christmas party this year? 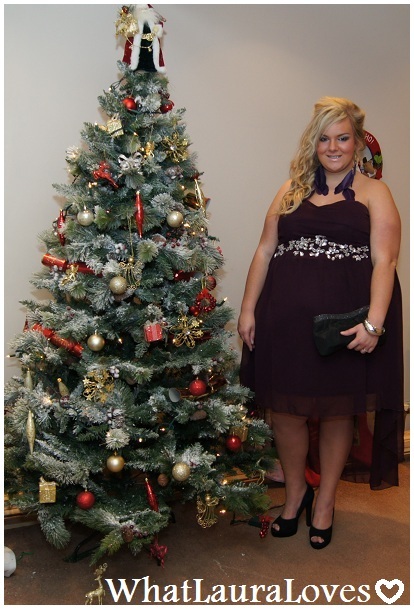 Next Post WhatLauraWore: All In For Christmas! Gorgeous dress! You definitely know how to dress to impress – glamour seems to be your thing! You look so beautiful! I was looking at this dress the other day, was very tempted to get it but thought i'd leave it, think i'll go back and get it now tho 🙂 There are quite a few colours, which would you reccommend for a redhead?